Milgard Windows & Doors manufactures high-quality vinyl, fiberglass, wood and aluminum windows and patio doors that are backed by a Full Lifetime Warranty. We have multiple locations in the Western U.S. and Canada as well as 3000+ dealer partners to provide local support and service. 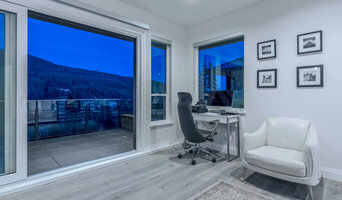 Westeck Windows and Doors is a Canadian manufacturer with 7 sales offices in British Columbia (Vancouver, Chilliwack, Victoria, Nanaimo, Kelowna) Alberta (Calgary) and Washington State (Seattle) as well as an extensive dealer network throughout North America. Westeck employs over 200 people with the majority of those partners working out of the corporate facility in Chilliwack, British Columbia, Canada. Producing custom specialized windows and doors, Westeck’s brand and reputation was built on providing fenestration product solutions with European design and influence. Whether the project design is modern, contemporary, heritage or conceptual; architects, builders, designers and home owners alike that have complicated and specialized requirements, trust Westeck. Westeck provides solutions while not compromising performance, style and design. A custom home build is quite often the single largest investment in ones life. For most, this is a once in a lifetime opportunity. An opportunity to build their dream house. This is an awesome responsibility to entrust in the construction community. Understanding this concept and exceeding customers expectations is what Westeck drives for and is at the core of the Westeck culture. 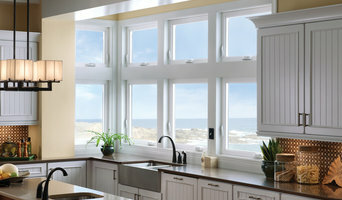 For more information, please contact 877 606 1166 or visit www.westeckwindows.com. Great Northwest Door Company has been in operation since 1992, supplying custom doors, millwork, and windows to fine builders, dealers, and homeowners. We, at Great Northwest Door Company, would appreciate the opportunity to provide you with the high quality, hand-crafted doors millwork we produce. In addition we sell many brands of high-quality wood and wood clad windows. From our humble beginnings as a manufacturer of quality Craftsman and Victorian style screen and storm doors, to now offering whole house packages, we have succeeded by improving quality and customer service. Continually striving to exceed expectations in quality and customer service. Contact us with your plans and ideas and we can provide you a quote. Your Clear Choice for Windows, Mirrors, Skylights, and Doors! Seattle Stained Glass is the largest specialty glass studio in Washington. With an in-house design department and a team of experienced and highly skilled craftspeople we are able to seamlessly guide a project from concept to installation. While the majority of our projects are designed in-house we also work closely with artists, architects and other designers to turn their ideas into reality. We take great pride in creating pieces of the highest possible quality and beauty. Our level of detail and craftsmanship is what our reputation rests on. Serving Homeowners, Builders and Contractors in the Greater Puget Sound region for window and door retrofit and remodeling needs. We stake our name on quality workmanship and old-fashioned attention to detail. At West Seattle Window & Door, you’ll enjoy quality services and commitment to craftsmanship. We are certified window specialists, consulting, designing, and ensuring that you receive an honest cost proposal on your window or door project, a high-quality product, and an absolutely topnotch installation. We invite you to get in touch with us and see for yourself. Signature Window & Door Replacement has been serving the Greater Seattle/Puget Sound region since 1999. Signature is locally owned and operated by Grant Neiss and Randy Lucas. We are committed to a 3-part commitment to our customers: We offer the best products, the best service, and the best installation in the industry. Products - We have partnered with the manufacturers ranked highest in their respective fields. We are the Marvin Infinity Fiberglass Window & Door regional exclusive distributor. And we are a Premier Partner with Simonton Vinyl Window & Door. We have hundreds of styles to choose from, plus an extensive assortment of trim options that enable you to customize your project, ensuring it turns out exactly the way you want it. Service - We don't use high-pressure sales tactics. Our design consultants' #1 commitment is to help you select the products that work best for you and your home. They'll walk you through the process to make sure you are comfortable every step of the way. Don't be sold a window when you can select! Our products come with outstanding warranties. But we go a step further in providing the Signature Guarantee. That means that for as long as you own your home, your windows and doors are completely protected for materials and repair. Regardless of the issue, if you call us we will make sure it is resolved as quickly and painlessly as possible. Installation - Our installers are AAMA Certified Installation Masters. That means they have achieved the highest level of installation training and certification available. They also undergo "warehouse training," which means they are trained by our manufacturing partners on best practices for installing the products we offer. Experience the Signature Difference! Visit our website at www.SignatureWindow.com or call us at 253.887.7792 and schedule your free in-home window assessment and consultation. Renewal by Andersen is the exclusive start-to-finish window replacement division of Andersen Windows–the most recognized name in windows. 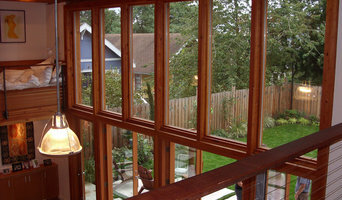 Your local Seattle experts for quality replacement of wood, aluminum, and vinyl windows. We specialize in energy efficient Seattle replacement windows and doors serving Mercer Island, Bellevue, Kirkland, Issaquah, Redmond and the Tacoma area! Expect a window replacement company that will treat your home as if it were our own. Everlast Window and Door is the leading provider of window and door installation services in the Metropolitan Seattle area. The company was founded in 2007, and has built a solid reputation over the years. Products and services are available for both residential and commercial window installation. The team is an authorized dealer of Milgard Windows and often works closely with homeowners, contractors, condo owners, designers, property managers, and architects to create the perfect window environment for each project. Homeowners looking for window installation and replacement can talk to the team at Everlast Window and Door for information about the products that are available. A complete range of window products is offered, including window replacement, fiberglass windows, vinyl windows, commercial windows, energy efficient windows, wood windows, aluminum windows, residential windows, and window installation. The team also has experience with door installation and replacement, including sliding doors, French doors, entry doors, and patio doors. Moveable glass wall systems offer a great feature for homes or businesses that desire a combination of outdoor and indoor living. These glass systems can also be used to create a multi-functional space inside. Specialty products are available, including brands that are rated and certified for energy efficiency. At Everlast Window and Door, the priority is focusing on the details of every project. Good work is guaranteed, and the team always listens to customer requests to ensure quality every step of the way. Many of the products that are offered are manufactured in the Pacific Northwest. Additionally, the staff works hard to help property owners take advantage of Energy Tax Credits offered by the federal government as well as rebates from Puget Sound Energy. Services are offered for all cities in the Metropolitan Seattle area, including the Greater Seattle area, Mercer Island, Seattle, Renton, Bellevue, and more. The company is equipped and experienced with handling projects for single-family residential homes, multi-family housing, and commercial properties. For more information about the services offered by the Everlast Window and Door team, visit the convenient showroom at 3829B S Edmunds St Seattle, WA 98118. Call any time to schedule a complimentary consultation: (206) 722-3303. Marine View Windows & Doors is a locally owned window and door replacement company based out of Fife, WA. Owner Eric Snider grew up in Browns Point (Tacoma), and brings over a decade of experience with selling and installing windows, entry doors, and patio doors. We serve homeowners and builders in Pierce County and South King County with quality products, personalized project solutions, and experienced craftsmanship. Living and working in the area his whole life, Eric understands the window and door solutions that work best with homes exposed to Pacific Northwest weather. Many factors must be considered when recommending window and door products and installation methods. Every home brings unique needs depending on the construction, layout, weather exposure, existing windows and doors, homeowner preferences, and many other factors. We will custom tailor project solutions for each home, as we do not believe in a one-size fits all solution. We partner with leading manufacturers to bring you a wide array of quality products and design options. Our brands include Milgard, ThermaTru, Codel, and Buffelen. Locally manufactured Milgard Windows bring high performance, durability, and unmatched quality with options ranging from vinyl or fiberglass windows, to aluminum and wood windows. Homeowners looking for low-maintenance windows will love the benefits that new fiberglass or vinyl windows bring. Marine View Windows & Doors is here to guide you on the solutions that best meet your needs and budget. Our door products include entry doors and patio doors with thousands of style, finish, and size options. Replacing your entry door often provides a great return on investment and creates a stunning first impression that visitors are sure to notice. Installing new sliding patio doors or French patio doors can improve the function of your indoor-outdoor space, enhance security, and bring better efficiency. The installation crews at Marine View Windows & Doors are AAMA Certified. In addition, our company is Lead Certified, licensed, bonded, and insured. With 15+ years of experience and a reputation built on trust and quality, we hope to partner with you for your next window replacement and door replacement project. Call us today for your free in-home estimate at (253) 331-7401. Innovative. Imaginative. Experienced. As experts in the field of glass application, we utilize the latest technology and work with the most versatile construction materials. We value the opportunity to meet with our customers, each of whom has specific ideas and inquiries about what is possible. 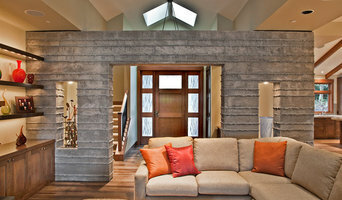 It’s an interaction that results in unique and custom-designed enhancements to your home. From a traditional glass conservatory or breakfast nook sunroom, to an impressive glass-canopied entry, we’re in the business of letting in the light. At Solarium/Skylight, we want to assist our customers in making informed decisions about the products and services we provide. We understand that our products are not only an enhancement to your home, but an investment. For that reason, we don’t believe in “hard sell” techniques employed by some of our competitors. Instead, our services include comprehensive consultation, weighing options and choices with your budget and aesthetic preferences in mind. No pressure. We’re here to help you make an educated decision about an investment you’ll truly appreciate and enjoy for years to come. We want the pleasure to last and the experience of working with Solarium/Skylight to be rewarding. Window specialists can recommend the most suitable type of window for your home, whether louvre, leadlight or sash, and will advise on the best positioning for style, function and energy efficiency. They can also survey existing windows for rot, improper sealing, worn hinges, and foggy double-pane glass, and will tell you whether or not a window replacement or upgrade will be necessary. The professionals in this category are also knowledgeable in sliding doors, bifold doors, French doors and other paned portals. 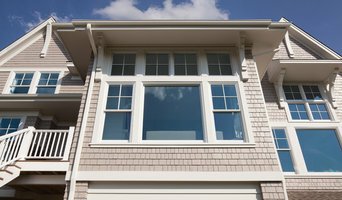 Your window specialist may also work closely with Seattle, WA builders and architects. Here are some related professionals and vendors to complement the work of windows: Shutters, Blinds & Curtains, Building Project Managers, Home Builders, Specialty Contractors, Cladding & Exteriors. Find a window professional on Houzz. Narrow your search in the Professionals section of the website to Seattle, WA Windows. You can also look through Photos to find examples of windows you like, then contact the professional who is responsible for them.